You never said this costs and when I pressed “GET”. It said “thank you for your purchase”. I didn’t approve a purchase and you scammed me! I continually get error messages when I try to add items. I have updated the app in hopes that it would fix the problem. It did not. My wife is having the same problems with her app. Also, when we try to update the quantity of items, it does not always save. This app is has all the main features I am looking for and then some. 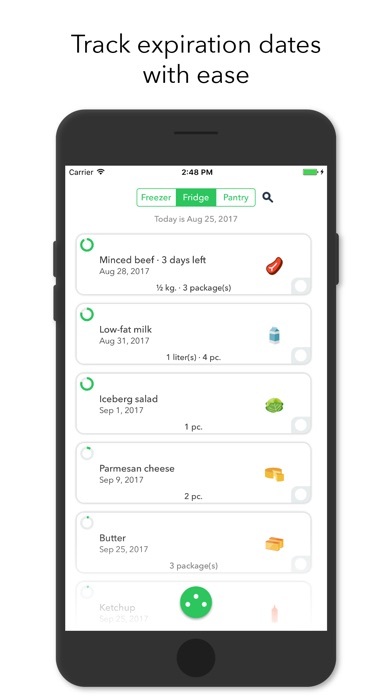 - meal planning option - shopping list - pantry (freezer, fridge and pantry) I have few issues with this app which is why it got 4 stars. 1. It seems to sync after every single change made. If I have my data off it just keeps waiting to update. I wish syncing would be done on the opening and closing of the app with a manual option to sync on demand. 2. Also there is no prompt on the sign out feature. I touched it and I immediately got signed out. I wish there was a prompt for this. What I wish this app had: - allowing item price as well as tax percent. 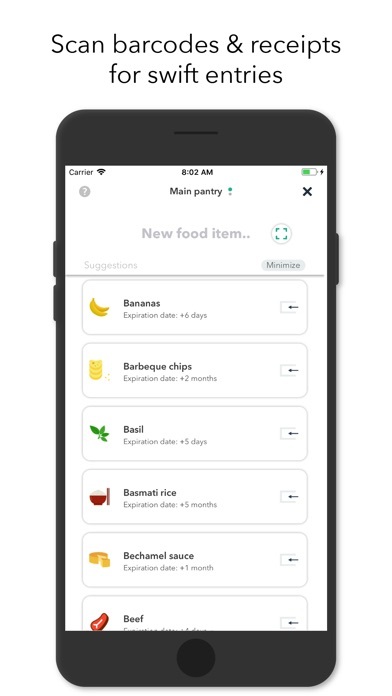 This would definitely help with budgeting which is one of the reasons I searched for and got this app. 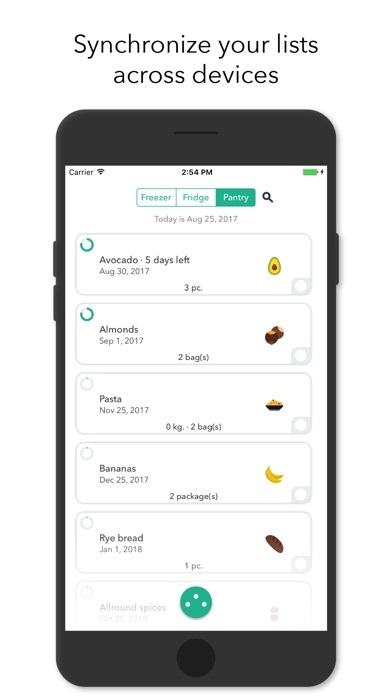 Are you working with stores to scan the receipt to automatically add all items purchased at once and then all is needed is to add expiration dates? Thus removing the laborious effort of scanning every item one at a time. Just purchased the pro version and I’m not satisfied with what I got. The idea behind it is incredible and new, but the delivery isn’t what I expected. It still needs a lot of work. This app keeps crashing about 5 seconds after it opens... it used to work just fine! I wrote a review earlier because I was frustrated when I purchased this app. I would like to change that review and give this app a 5 star. This app is great and superb! The Developer got back with me and fixed the problem (the Pro upgrade would not upload); it took a little while for the Developer to get back with me, but it was worth the wait and I must give him credit for getting back with me. 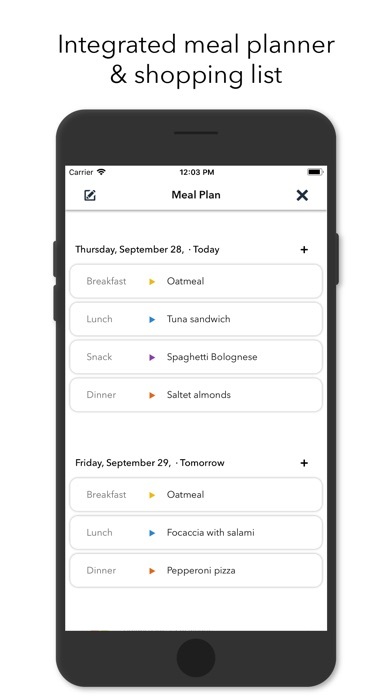 I am loving this app - there is no other app out there in comparison to the “No Waste.” There is no subscription fee - just a one time fee for the Pro upgrade for $5.99 (I believe it was). I thanked the Developer for creating this app and a job well done! The UI of this app is positively inscrutable and it made me delete the app. The developer needs to look around at the well-established standards and customs of list maintenance in every other ios app 😠 Developer: Do not contact me or respond. I don't want to hear from you in any way other than you redoing your app UI so that it's usable. I love the UI and it feels smooth to me. But I hate that these expiration times are inaccurate. Ketchup does not last a month in the fridge. It’s between 1-2 years even opened. 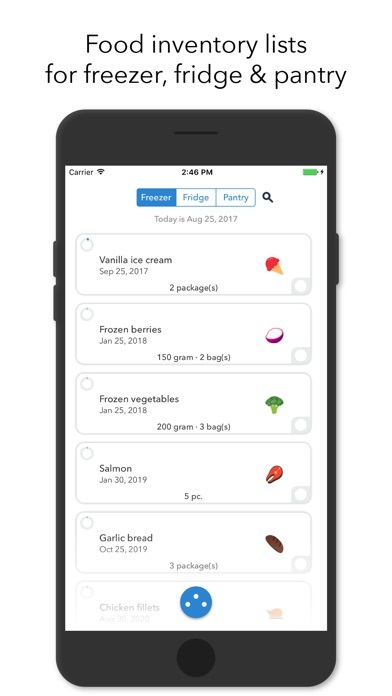 Yes, you can change it but it’s a hassle to change for almost every fridge item. Flour lasts two months but if properly stored and sealed, it can last longer. Best app of this caliber, just needs to fix the minor bugs.